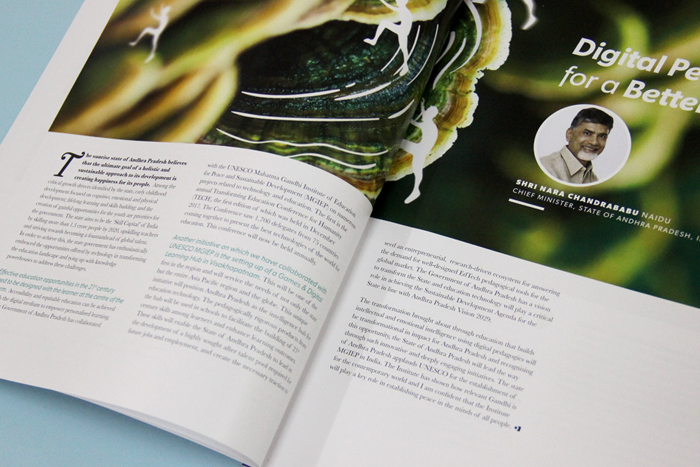 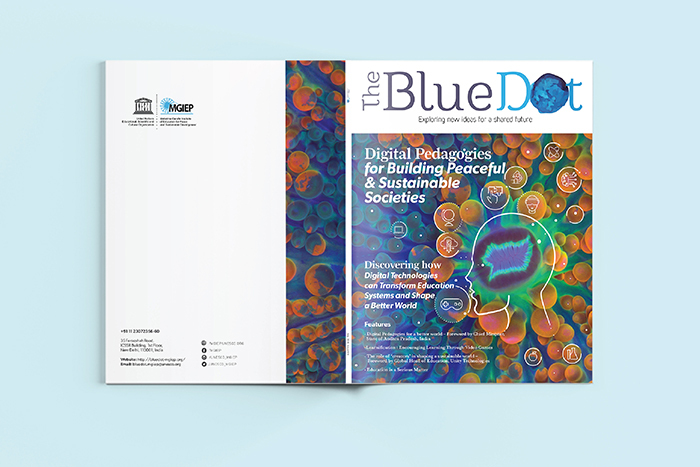 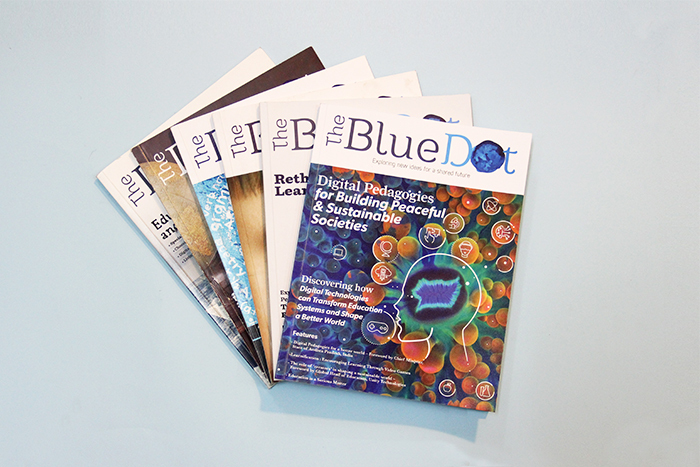 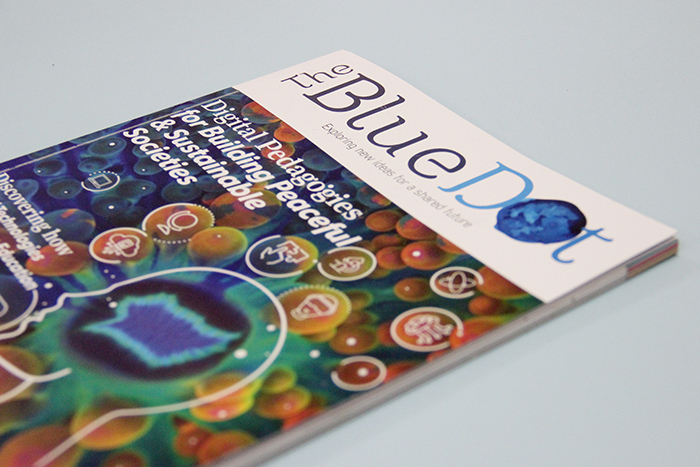 The Blue Dot is UNESCO MGIEP’s bi-annual publication, featuring articles showcasing their activities and areas of interest. 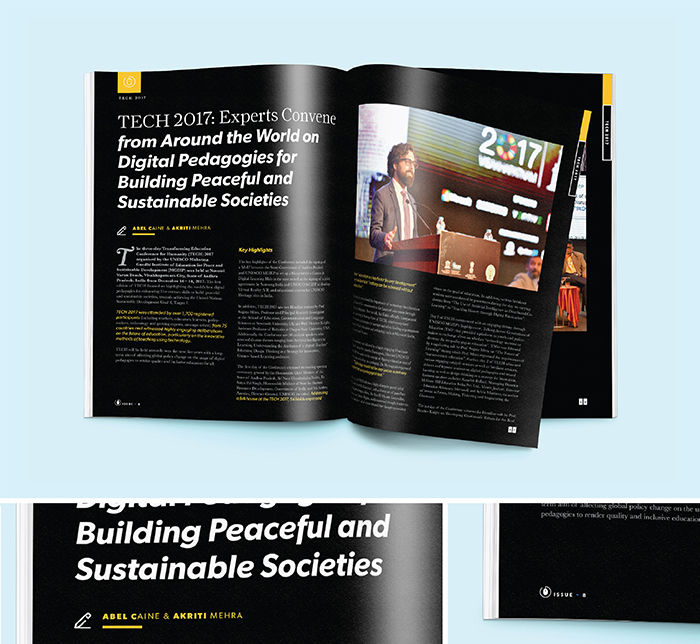 The magazine’s overarching theme is the relationship between education, peace, sustainable development, and global citizenship. 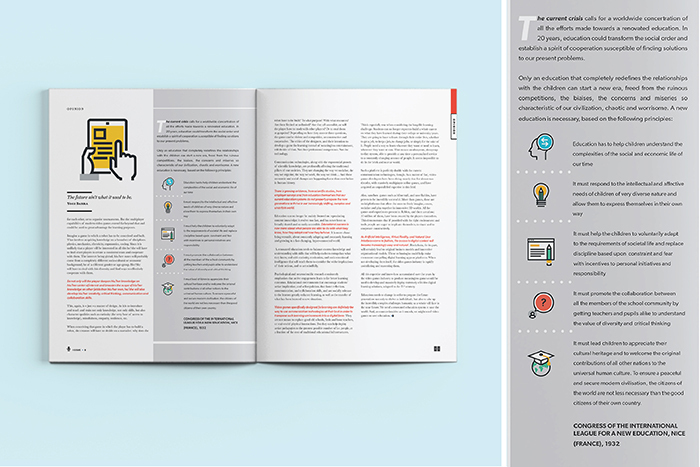 Keeping the theme in mind, we designed a system for the layout of the magazine for the July 2018 issue. 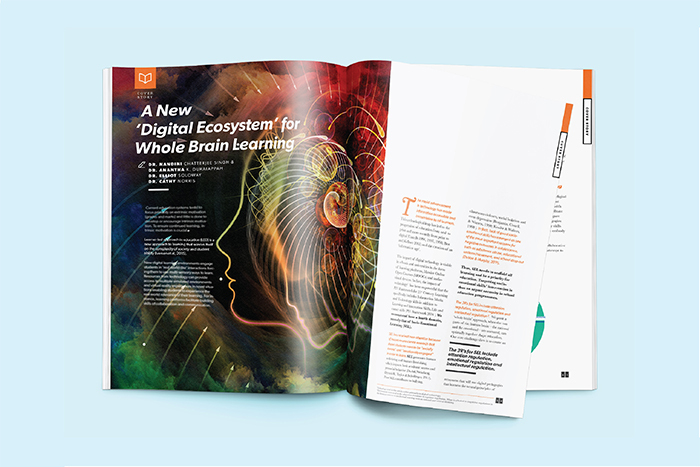 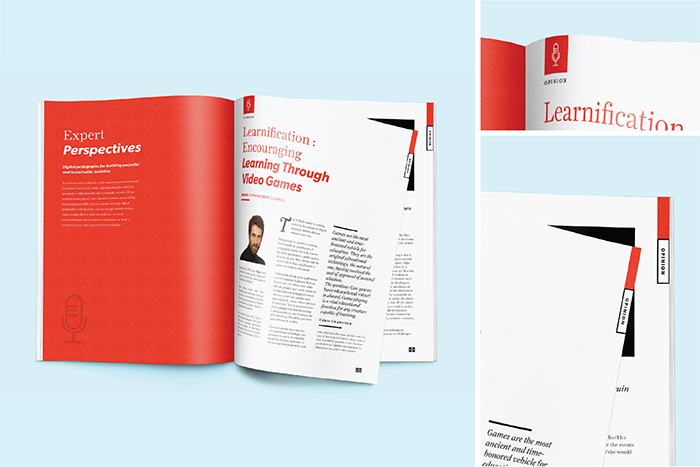 This edition is primarily focused on digital pedagogies to transform learning. 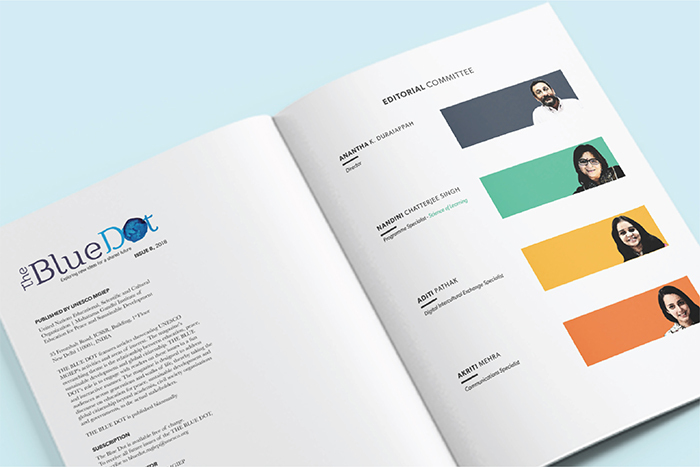 There were six sections in the magazine, each of which has been colour coded and follow a grid structure designed for that section. 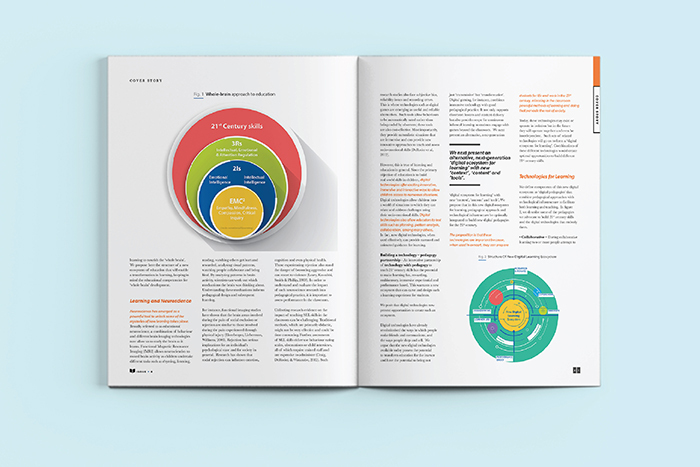 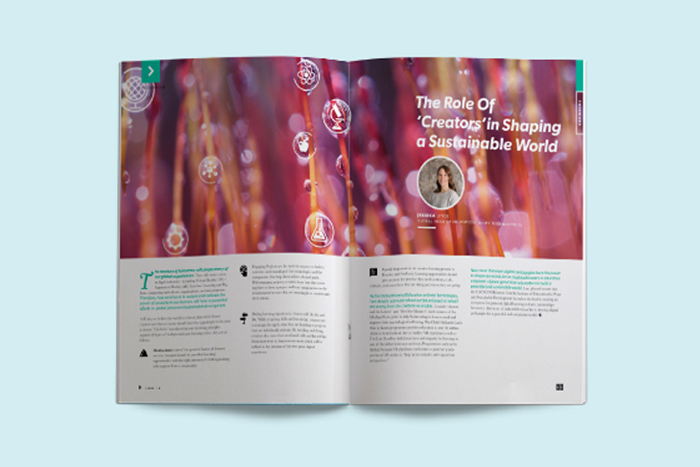 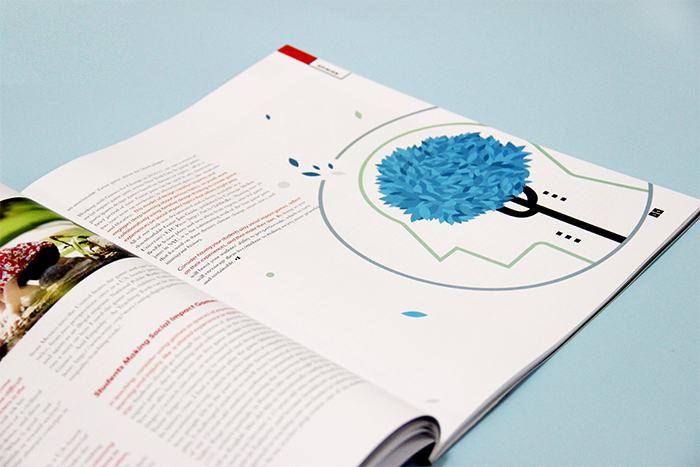 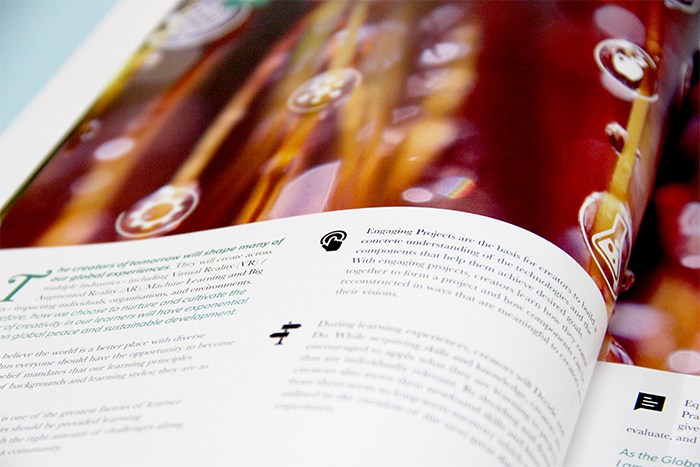 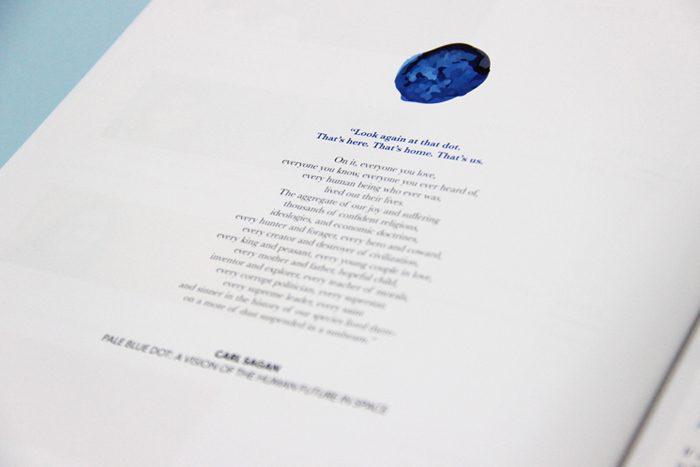 The entire magazine had a common theme running across, so every section was colour and icon coded with its own unique layout style for the ease of the reader. 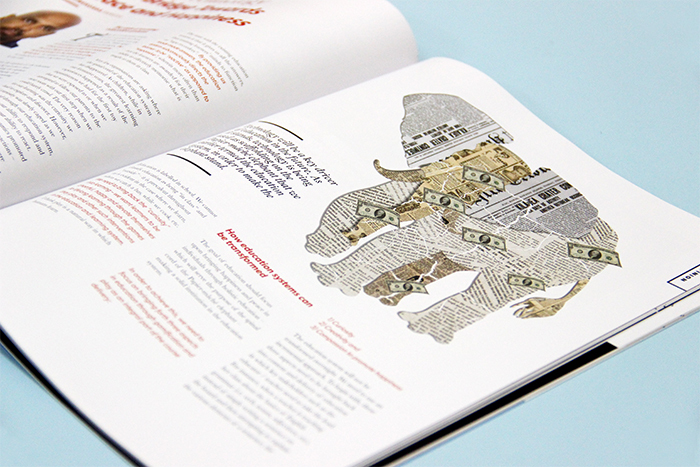 The system has been created keeping in mind the bigger picture of the magazine, rather than just the content of this particular issue, so that the same system can be used seamlessly in future issues. 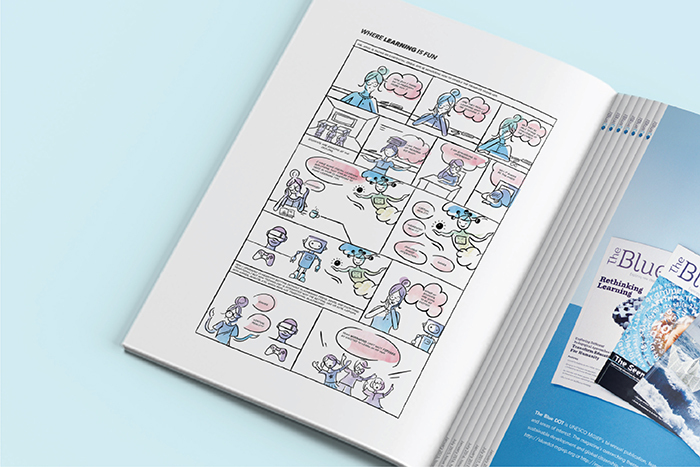 The opinion section of the magazine was integrated with illustrations and images, which were a representation of the author’s perspective, giving context to the reader.